It’s “500k Eve” – as I settle in for the night in Hollywood on the verge of a very big mileage accomplishment for my old Acura. 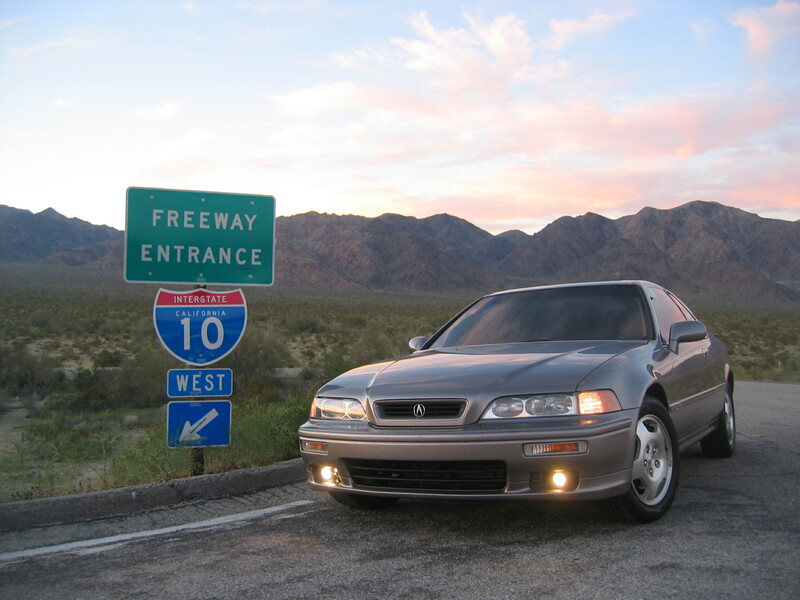 The car sailed along Interstate 10 westbound from Phoenix just as smoothly as it has probably 50 times before. This stretch of road is a familiar one for the old Legend. We did sit through about 45 minutes of construction delays near Palm Springs. I’ll do my best to bring you some of the day’s festivities via photograph and video after the big occasion. This entry was posted on November 4, 2011 at 7:58 am and is filed under California, Legend, Milestones, Road Trip. You can follow any responses to this entry through the RSS 2.0 feed. You can leave a response, or trackback from your own site. You think YOU were excited, you should have seen me! I was a nervous wreck! Haha. Thanks Jeff for all the support. Hey thanks Ari. I am home safe and sound! Absolutely freaking awesome. You did a wonderful job, and while I’m no longer a Legend owner it is great to see you’ve hit that milestone. What are the plans for now?